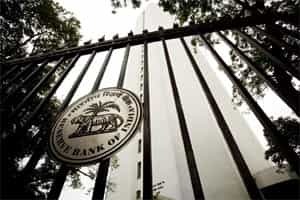 New Delhi: The Reserve Bank of India (RBI) will consider injecting liquidity into the banking system only if the current large deficit persists over a longer time even as the interest cycle may have peaked, deputy governor Subir Gokarn said on Friday. India raised only ₹ 9,000 crore at a bond auction on Friday against the targeted ₹ 13,000 crore, devolving a large amount on primary dealers and even rejecting all bids for the shorter paper on offer. Earlier this week a part of the cash management bills on offer remained unsold. Gokarn’s comments and the RBI rejecting some bids helped to provide some succor to a battered bond market helping cool yields. The country’s 10-year benchmark bond yield dropped 10 basis points after the comments. The yield on the paper closed at 8.94% after rising to 9% intraday. It has closed at 8.90% Wednesday. “There is short covering being triggered due to the cancellation of the auction via bids rejection. However, this is only a short-term rally and will not last, unless the RBI conducts open market operations," the head of fixed income trading at a foreign bank said. The market was closed Thursday for a local holiday. Participants in the debt market have been expecting the RBI to stimulate the demand for excess debt supplies by pumping in liquidity through open market operations after the cash crunch at banks touched ₹ 1.27 trillion on Friday. Gokarn said that the extended rate hike cycle, which has made the RBI one of the most aggressive central banks in the world, may have peaked. The RBI has raised interest rates 13 times since March 2010 in a bid to control inflation, which has topped 9% for nearly a year. However, after the last rate hike in October, it signalled a potential pause when it meets to review its monetary policy in December, and said more hikes may not be needed going ahead if inflation sticks to the RBI’s projected trajectory. “There is an element in that guidance which suggests that the interest rate cycle has peaked," Gokarn said referring to the RBI’s policy guidance last month. He said that guidance was based on the expectation that the inflation number will start easing out from December onwards. The impact of rate hikes by the RBI has had a visible impact on growth but the overall deceleration in demand will help stabilise inflation going forward, he said. However, Brent crude prices which firmed on Friday to the $114 per barrel mark, along with the recent increase in petrol prices are likely to add to the inflationary fire. Gokarn said that if oil prices hovers $110 to the $115 per barrel mark, it may impact investments. He reiterated the RBI position that the RBI has no exchange rate target for the rupee and the economy may have to live with a depreciating rupee “as difficult as it is". The rupee closed at 50.1150/1250 per dollar from Wednesday’s close of 50.1750/1850, after touching a low of 50.42, a level last seen on 28 April 2009 on weak domestic shares, as some corporates were selling dollars arresting the fall. The partially convertible rupee has been the worst performing currency in Asia so far this year, having shed more than 9% against the dollar as the greenback left Indian markets on the back of fears of an euro zone debt crisis.